Think flamboyant street parades accompanied by wild music and lots of laughter. 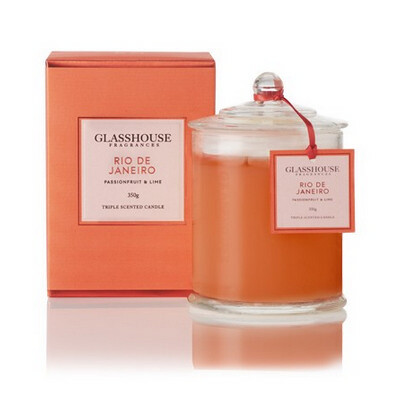 Rio de Janeiro captures the spirit of Brazil, with exotic scents of ripe Passionfruit, Lime, Raspberry and Orange, to give your senses an instant lift. Our Triple-Scented Candles are handmade in Australia, using the highest quality non-toxic wax and natural lead-free cotton wicks. 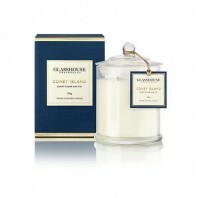 Fragrance Description Top: Passionfruit and Lime. Middle: Raspberry and Orange. Base: Rose and Melon. 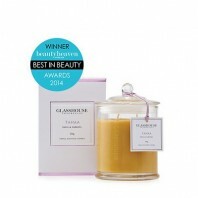 Fragrance Family Fruity Tips To get the most out of your candles burn them for 1-4 hours at a time. Our reusable jars are perfect for storing cotton buds or spices.